Welcome to my website! You're listening to the fourth movement of J. S. Bach's Violin Sonata #3 that I performed while visitng the University of Central Arkansas. This was a transcription I did as a senior saxophone student at Baldwin-Wallace Conservatory many years ago upon the recommendation of my teacher at the time, Galan Kral. You can hear the rest of this performance on my sound files page. 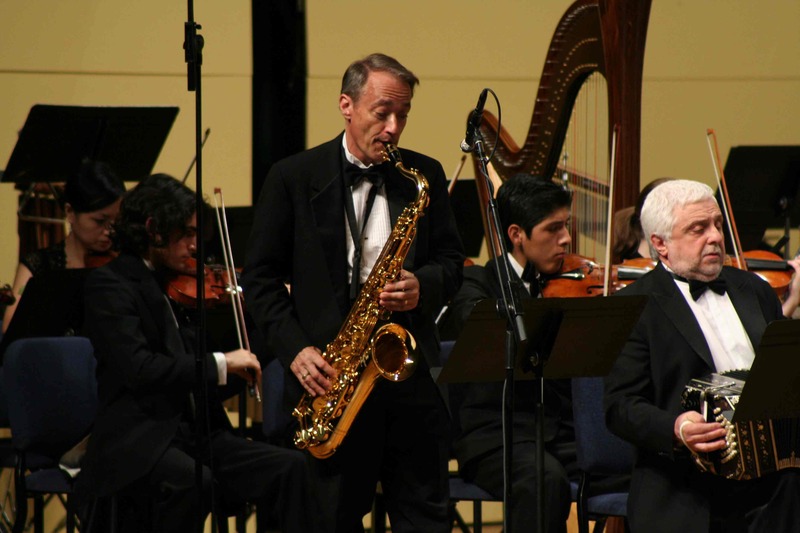 Here you'll be able to listen to sound files demonstrating classical and jazz saxophone playing, access some valuable practice exercises and share ideas to help develop your overall musical skills. This should give you some insight as to my performing and teaching philosophy over the past 30 years, most recently in the School of Music at Texas Christian University in Fort Worth, Texas. I'm always in the process of adding to this site, so please check back for updates. As always, please feel free to contact me at this address or my TCU address (j.eckert@tcu.edu) with any questions or feedback you may have regarding this site. I hope that this will stimulate your interest in performing on the saxophone in a variety of styles. I'll share my experiences as a classical and jazz soloist with you and hopefully show you how it's possible to perform with confidence in any musical setting. You'll see photos of some of the memorable musical experiences and the wonderful musicians I've had the honor of working with over the years. Finally, you'll view some photos of those who have been my anchor and supported me over the years, the members of my family. I'm excited to announce that I've been invited to perform this summer in Strasbourg, France at the World Saxophone Congress. 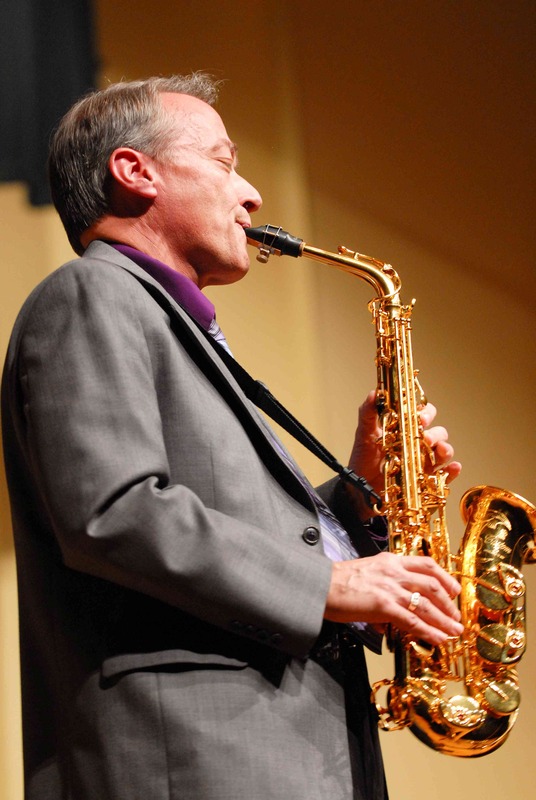 This event takes place every four years and includes saxophonists from around the globe. I'll be performing "Brilliant Blue," which was written for me by my colleague at TCU, Till MacIvor Meyn. You can listen to the premiere performance of this piece in my sound files section. As always, if you are interested in hosting me as a guest performer or clinician, you can contact me by clicking on the "contact me" heading on the navigation bar. I look forward to receiving your comments or reactions to my site.